I was looking for a nail polish set for my after wedding use. Since I'm a crazy fan of wearing colorful nail polishes and fell in love with beauty uk nail polish wild child set as soon as I have seen the set on the official beauty uk page. If you have remembered I had previously reviews for So So Skullicious Mini Nail Lacquers (Opi Pumpkin, Opi A rose from dead, Opi Mourning glory, Opi Candle light). Probably a best multicolored set I had ever got, but I was looking for more funky shades but in affordable price range. 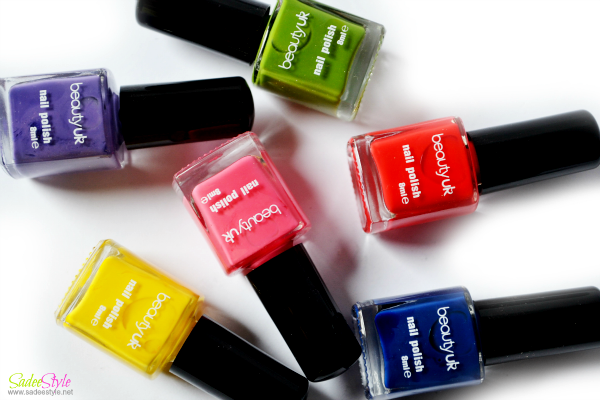 I immediately made my mind for the beauty uk set and made an order with this gorgeous nail polishes. All six gorgeous nail color set SIX GORGEOUS NAIL COLOUR were priced only £4.99. I've already had many nail polish colors but I just wanted few more shades into my collection. These beauty uk nail polish set was great deal with all six funky shades. It's a best bargain of price and bottle comes in 8ml size. I love all the colors are extremely wearable any funky. This set is a love and has amazing range of bright and lovely colors. 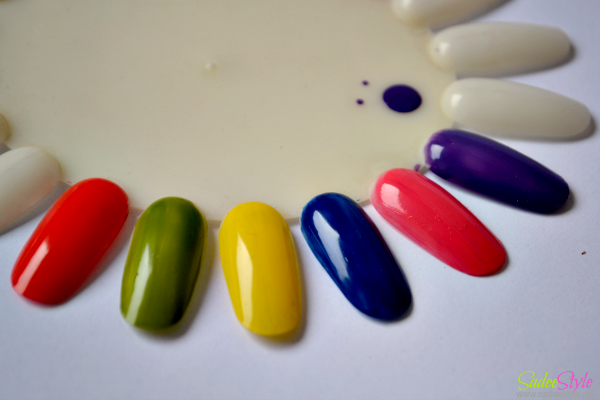 Shades are shiny with creamy soft finish and does not required a top coat to get a glossy finish. I remain for two or three days without chip. Overall it's a great purchase I'm quite satisfied and using it from a long time. Ideal for the girls love trying funky shades of nail colors. Amazing results without any base coat. Doesn't required a top coat for glossy finish. Colors are bit thin in consistency It needed two coats to get opaque look. Its a great bargain and must have nail polish set. £4.99 and available on Beauty Uk Website. Wow, these are too pretty & fresh colors. Love these :) Thanks for sharing!